It’s a mini-kimono, shortened to “mini-mono” thanks to our model Miss Deadly Red! 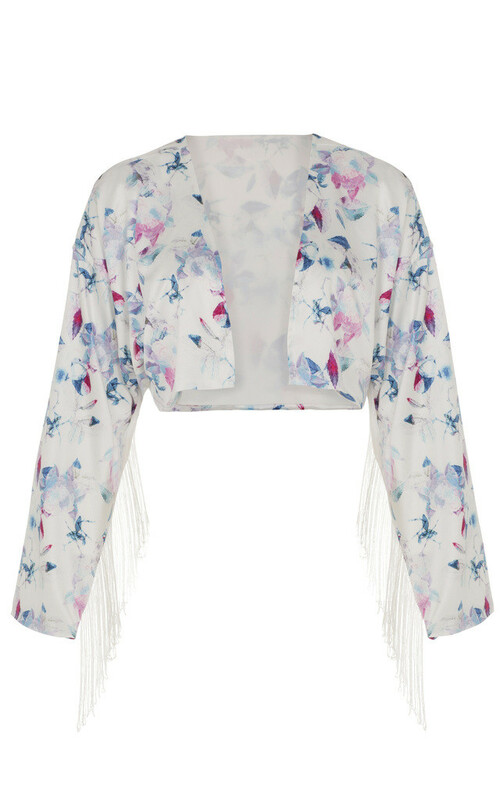 The Haruko Japanese Floral Mini-mono is a cute and quirky twist on typical kimono-inspired nightwear. 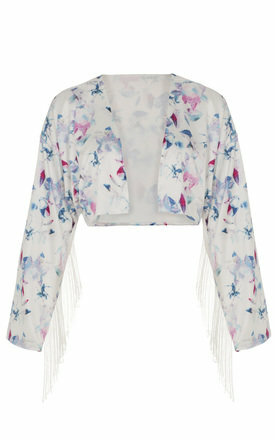 Cropped to just above the waist, this little bed jacket is perfect as a fun piece of lingerie as outerwear. A Japanese-inspired ghostly floral print (exclusively designed in-house) is complimented with ivory fringing along the arms. A perfect alternative to bridal lingerie, or just for fun!